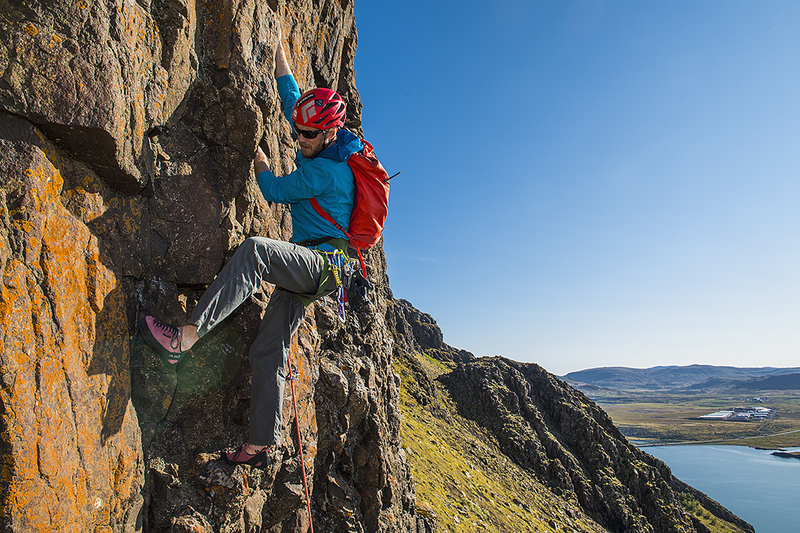 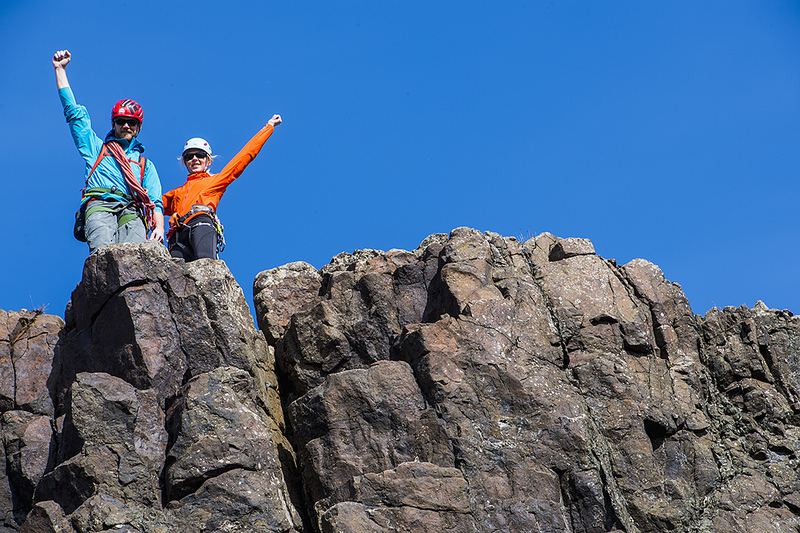 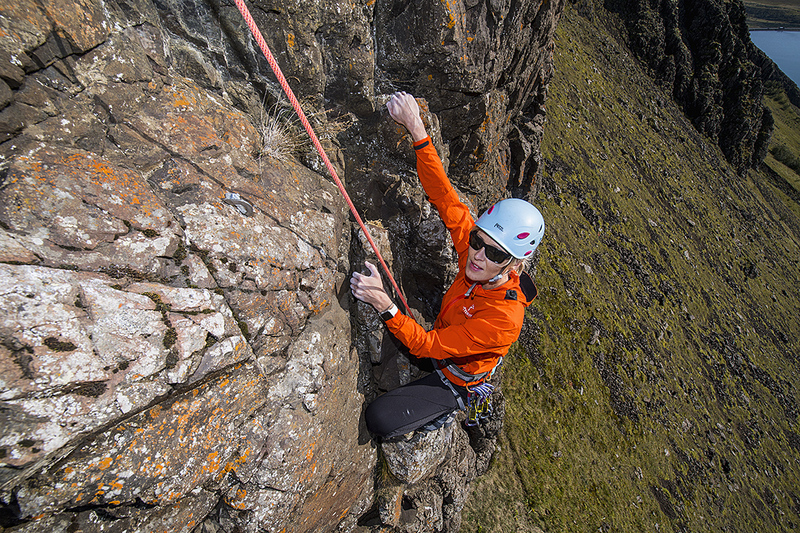 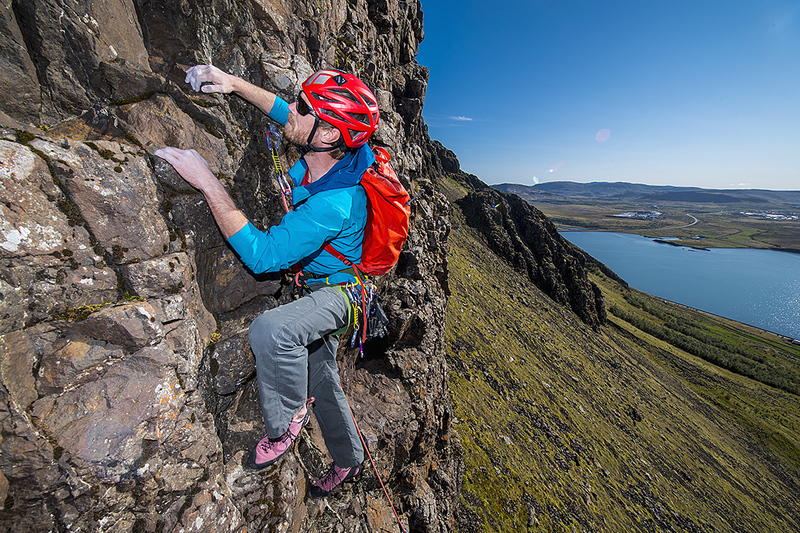 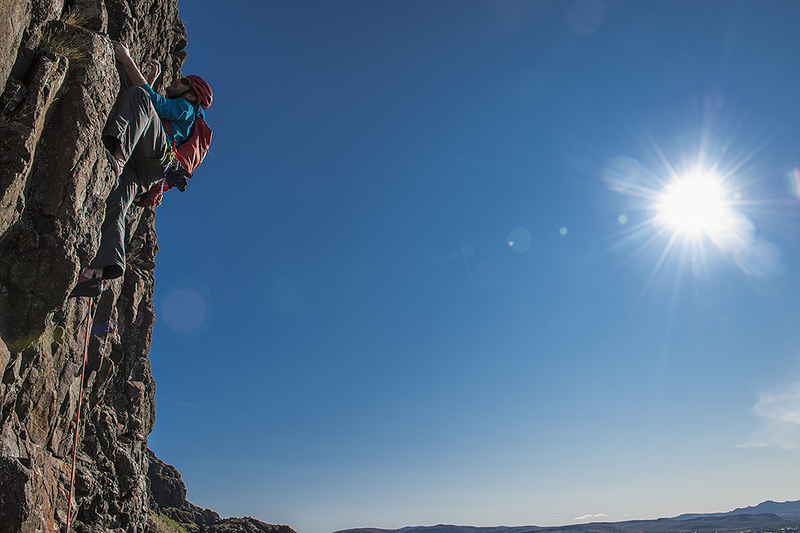 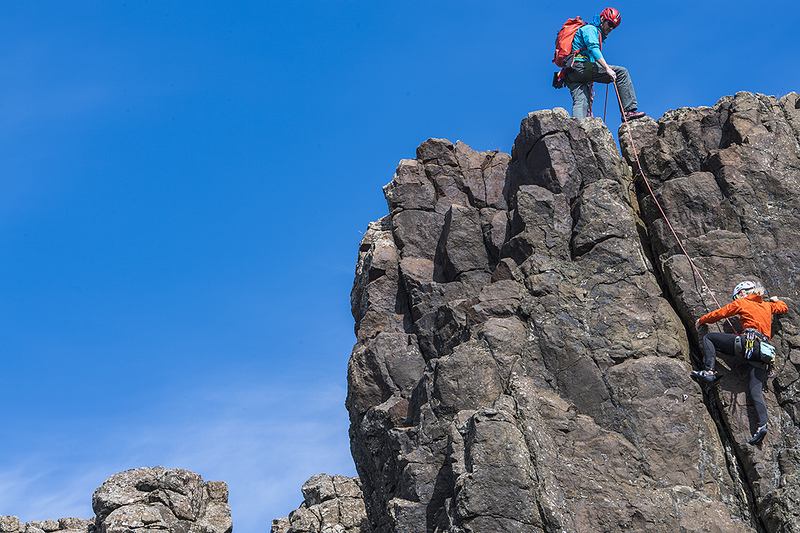 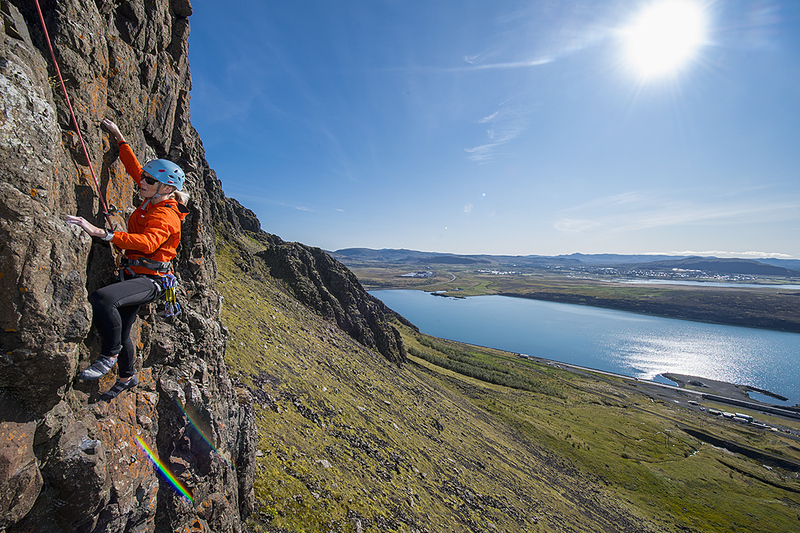 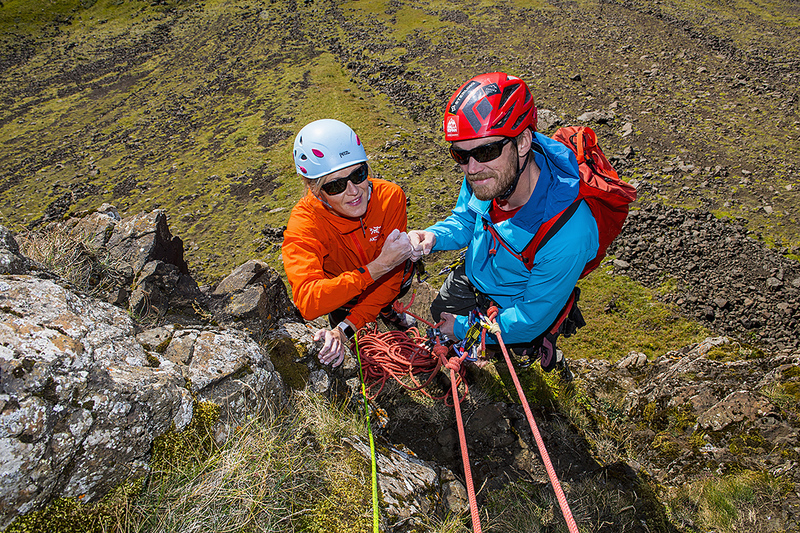 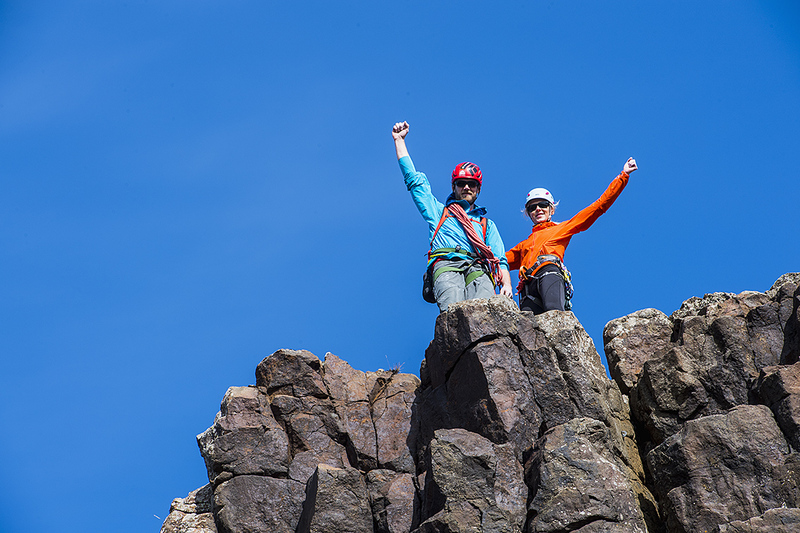 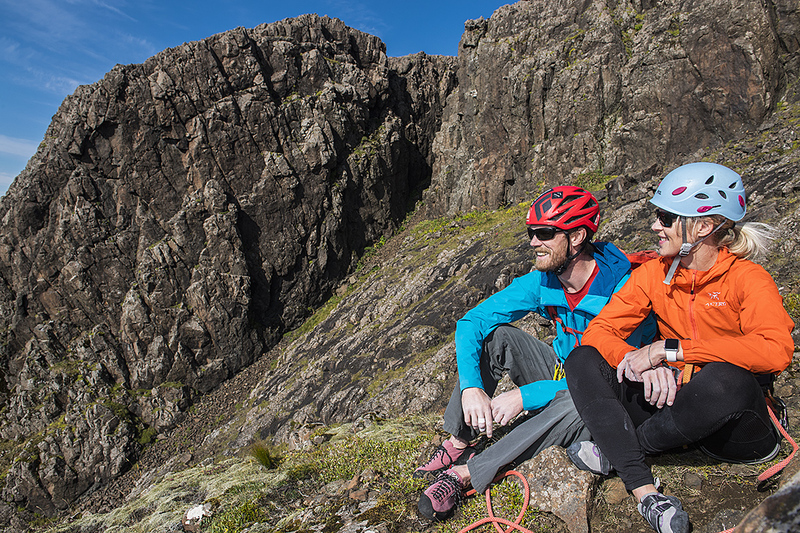 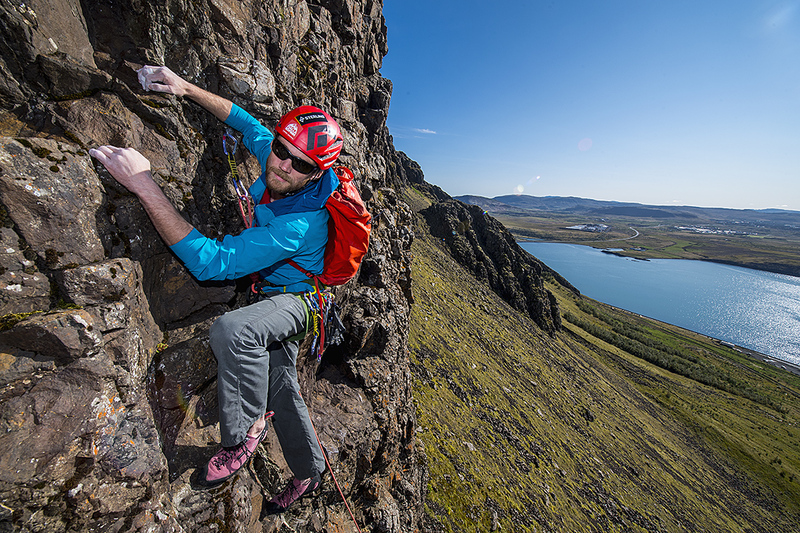 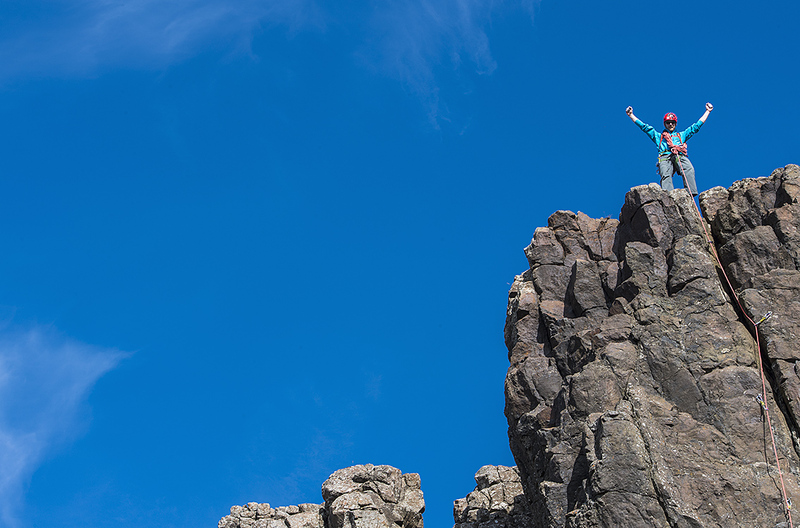 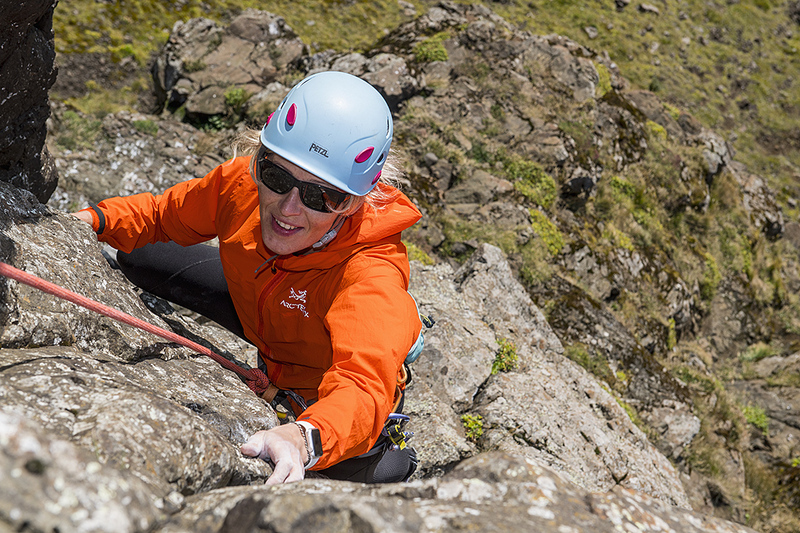 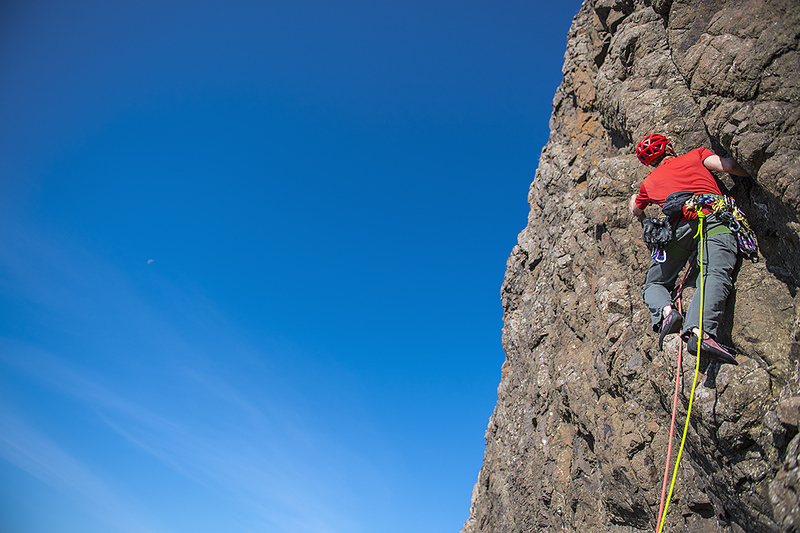 Join us on one of the most exciting and scenic day tours from Reykjavík – Alpine Rock climbing Reykjavík. 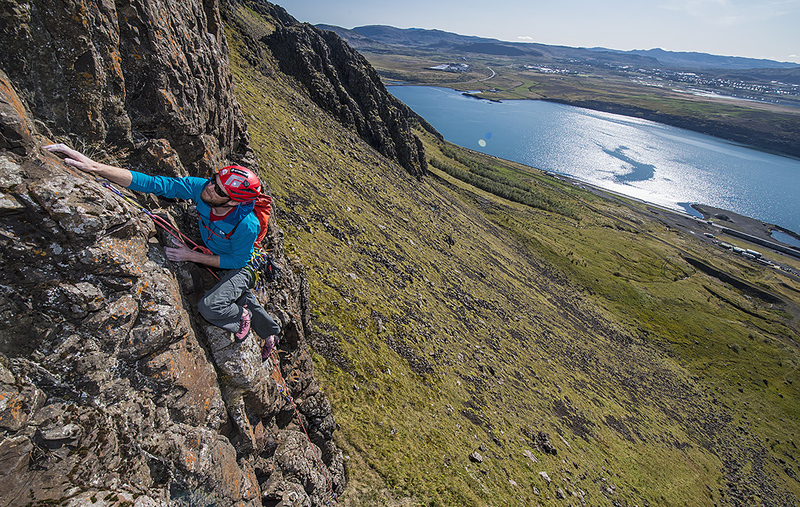 An amazing ridgeline just outside of Reykjavík takes you up an easy route with manageable short, technical sections and breathtaking views. 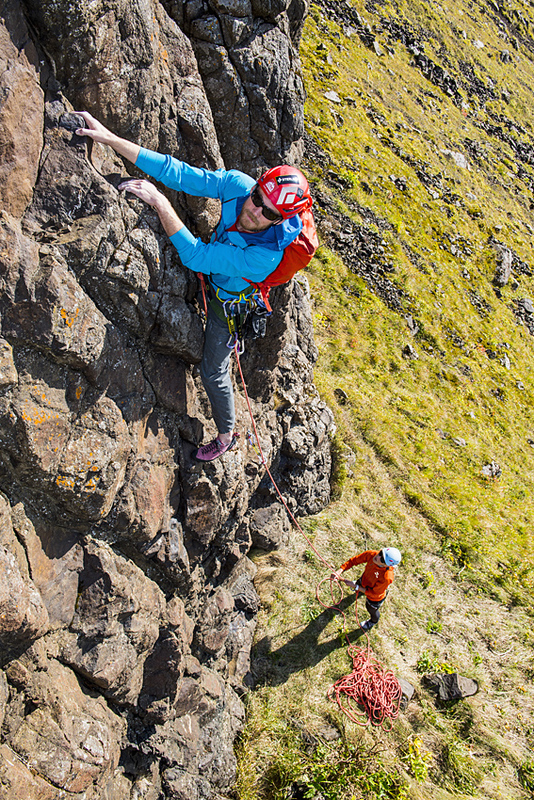 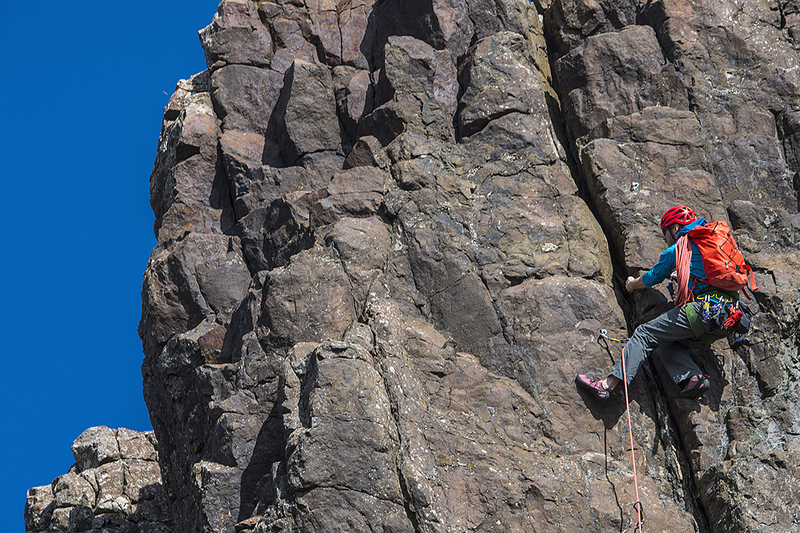 This multi-pitch basalt climb of the day is worth the effort. 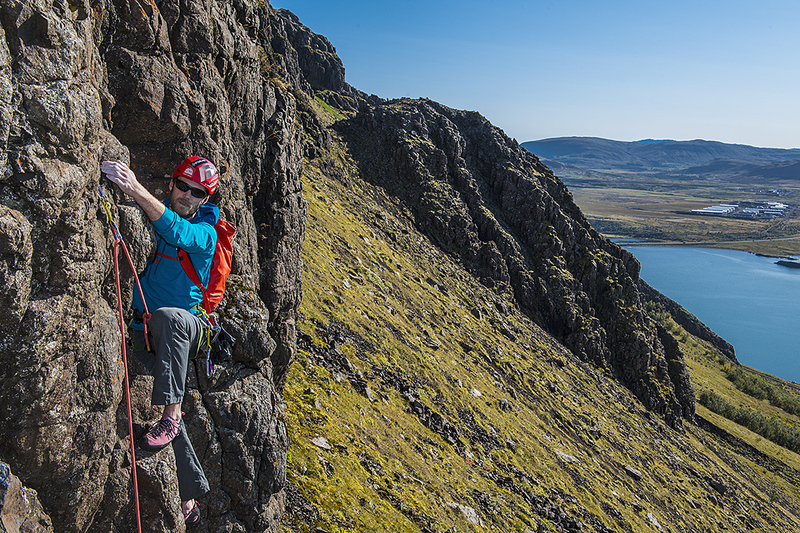 A guide leads you up the 10 pitch, exposed and scenic climb through the riddles of ancient sea cliffs. 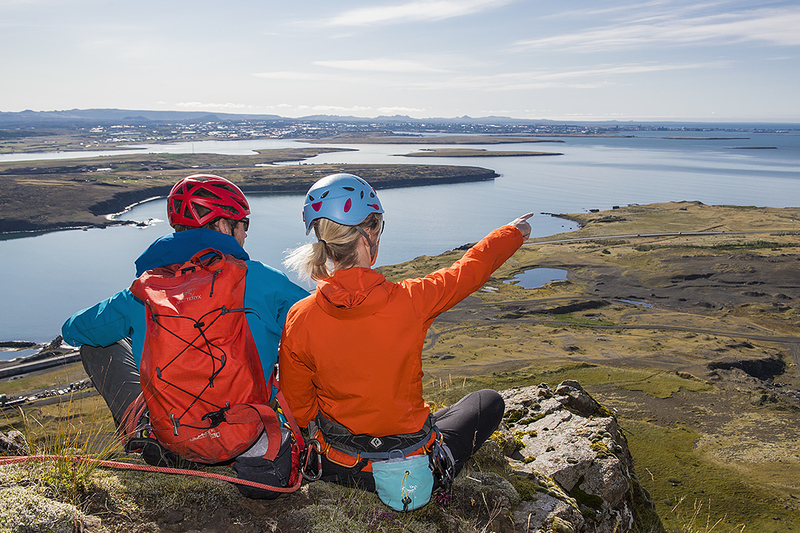 We pick you up at 09:00 in the morning at your accommodation and head out of Reykjavík. 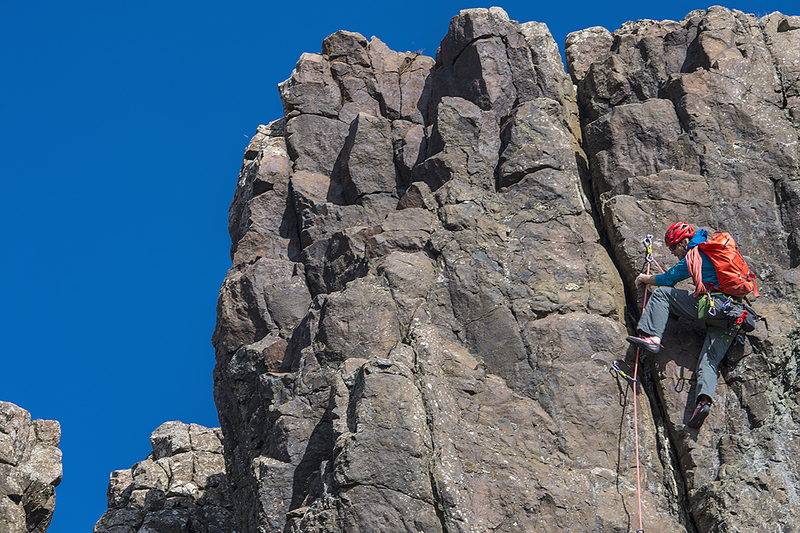 The drive is only about 20minutes and the approach walk 45minutes where we find ourselves gearing up underneath the magnificent ridge. 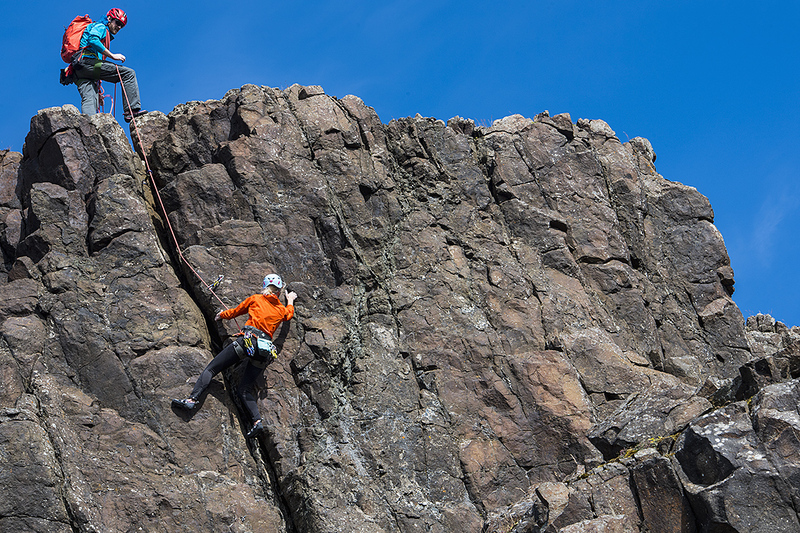 Moving through the mossy rock terrain we make our way along the ridge in total of 10 pitches of grade 5.6 and 250meters of rock climbing. 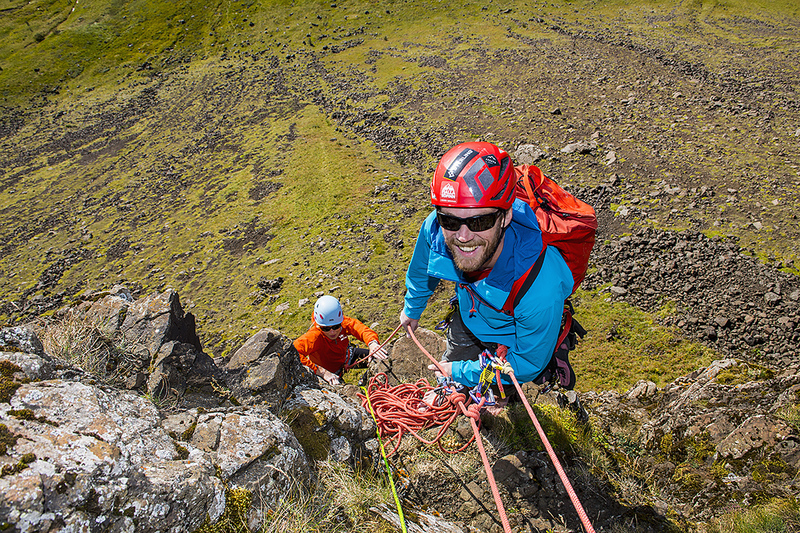 At the top of the ridge we need to rappel down one pitch to continue the last two pitches to the top of the mountain. 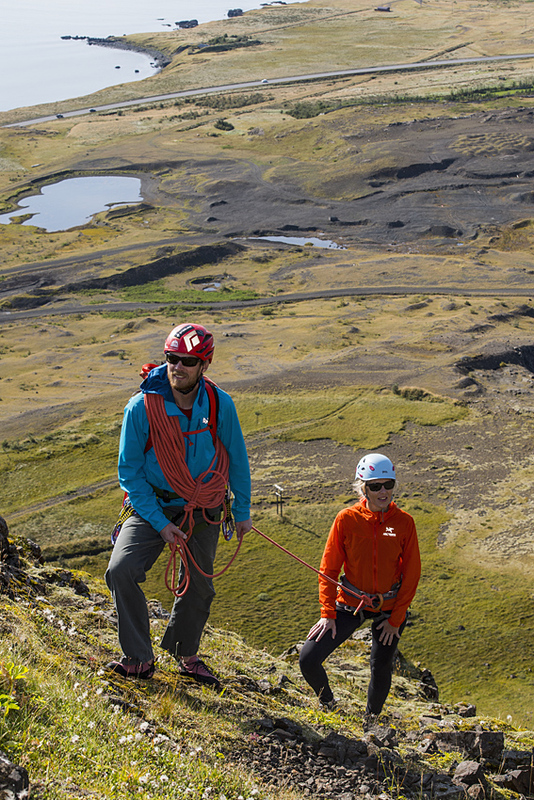 Finding our selves at the top, we start our descent on foot down the mountain until we get to the vehicle. 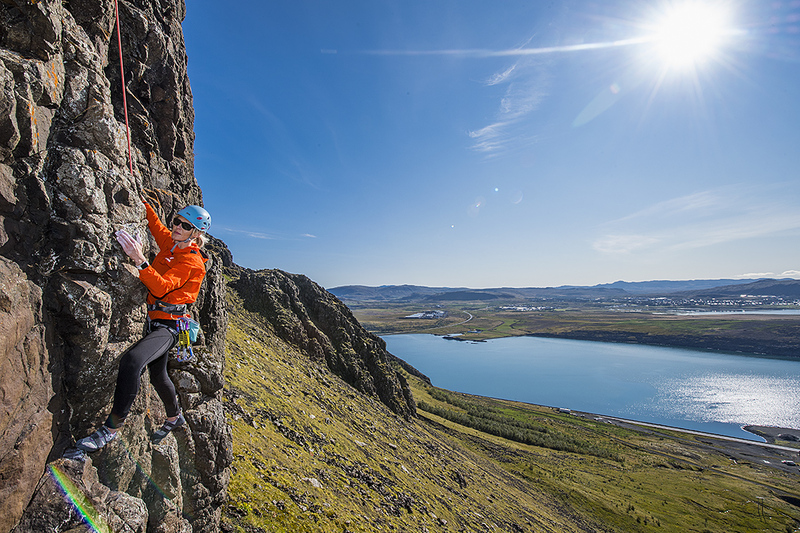 A short drive back to Reykjavik where we drop you off at your accommodation after this scenic and exciting day out.